“Birds without Borders” – An illustrated talk by Peter Holden a wildlife author employed by the RSPB for many years, who also contributed to wildlife programmes on TV. 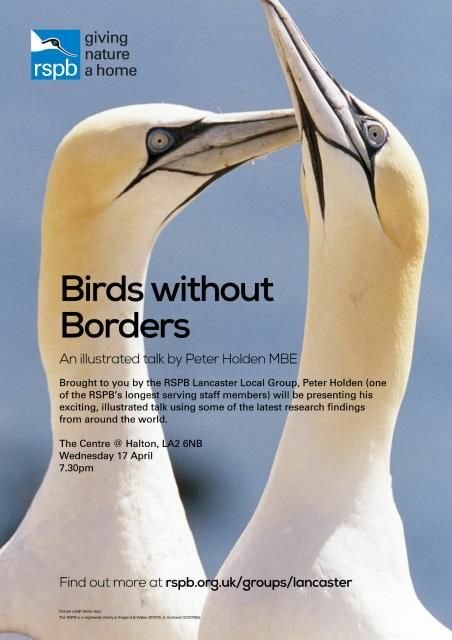 He will speak about bird migration and new discoveries about the amazing journeys the birds undertake. This is sure to be a popular event so don’t miss it. No need to book, just turn up. Entry donation of £3 or £2 for group members. Meet in the Main Hall.